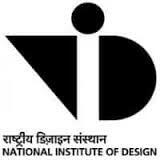 NID 2019 Application Form Date: The application form for NID 2019 will be available from 25th September 2018 onwards. NID 2019 Online Registration: To fill up the application form candidate need to register online by visiting the official site of NID 2019 only. NID 2019 Application Fee Payment: Candidate can pay the application form fee via online i.e. by Credit Card/ Debit Card/ Net Banking or by offline via Demand Draft. Non-Refundable: Candidates should note that the once the NID 2019 application fee is submitted, it will not be refunded under any circumstances. Upload a scanned recent passport photograph as per the instructions. All photographs must be in JPG/JPEG format and not exceeding 100 KB in size. It must be a coloured photograph taken at a professional studio. Photographs with self-composed portraits will not be accepted. Upload your scanned signature as per the instructions. All signature files must be in JPG/JPEG format and not exceeding 100 KB in size. You should have your signature digitally photographed or scanned and cropped to the required size. Candidates applying under the OBC-NCL category are required to upload their valid OBC-NCL Certificate issued by a competent authority. The date of issue of OBC-NCL certificate should be 01 April 2018 or later. The certificate must be in JPG/JPEG format and not exceed 150 KB in size. Candidates applying under the SC and ST categories are required to upload their valid Caste Certificate issued by a competent authority. The certificate must be in JPG/JPEG format and not exceeding 150 KB in size. Candidates applying under the Persons with Disability (PwD) category are required to upload their valid Disability Certificate issued by a competent medical authority as per the guidelines of the Government of India. The certificate must be in JPG/JPEG format and not exceeding 150 KB in size. All of these scanned documents must be in JPG/JPEG format. The above fees are applicable to applicants of B.Des/GDPD and M.Des, belonging to either of the three genders. The NID 2019 application form fee is neither refundable nor transferable. The NID 2019 Application fees paid online (by debit/credit card) does not include any bank/ transaction charges, and the same, as applicable, will be borne by the applicant. NID 2019 Admission: To get admission in NID 2019, the candidate needs to fill the application form and qualify the NID 2019 exam. Where do I send the Application form of NID 2017? Applications have to be filled online only. What are the application fees at NID? The application fees are different for applicants in general category and reserved categories for Indian nationals and applicants under Overseas Categories. What are the modes of payment for the NID exam? The modes of payment of the application fees are debit/credit card or demand draft.